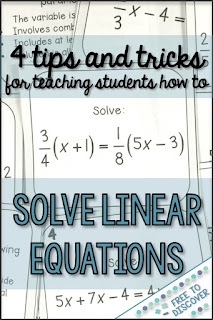 This week I am participating in a Blog Hop hosted by Scaffolded Math and Science. We’re tackling math misconceptions by sharing some ideas for how to combat common mistakes. 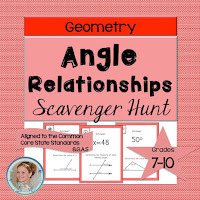 I’m currently reviewing angle relationships with a group of eighth grade students. They were very comfortable with the vocabulary and relationships formed from parallel lines cut by a transversal. 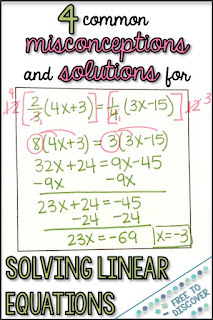 So week two I added to the challenge by combining angle relationships with linear equation writing and solving. 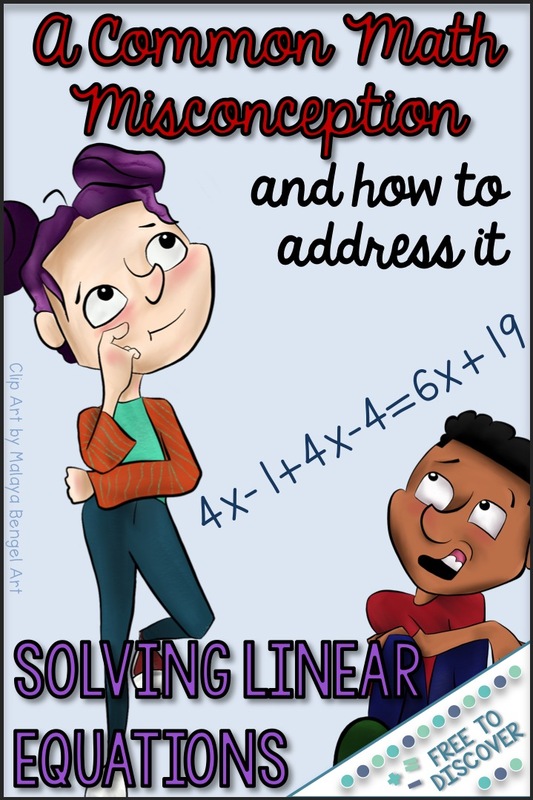 In some cases, students were given supplementary angles. So they needed to add them together to equal 180 degrees. For example, students were given same-side interior angles or the interior angles of a triangle. The x values all ended up on the same side of the equation. 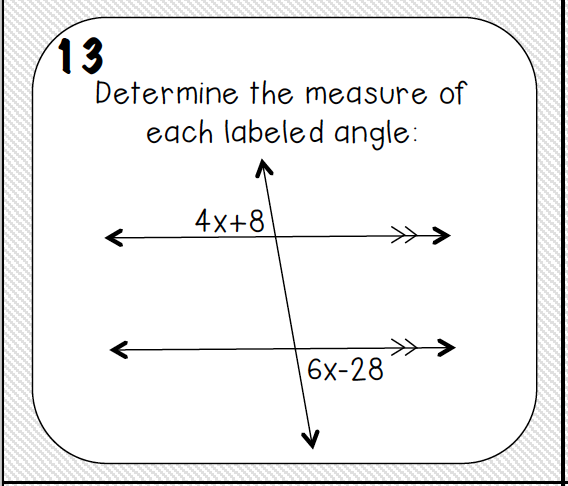 In other cases, students were given congruent angles. They set each expression equal to one another. 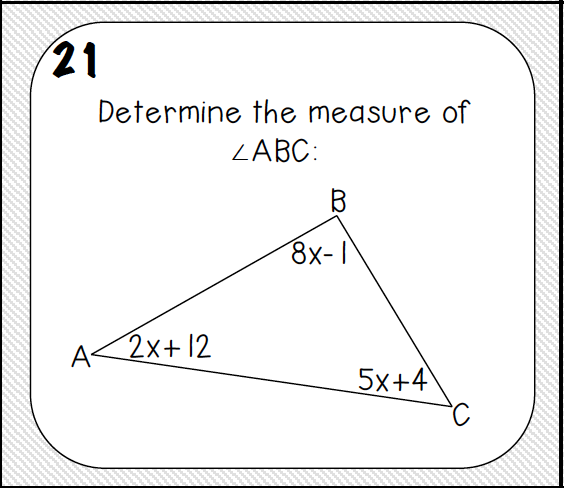 For example, students were given alternate exterior angles. The x values ended up on opposite sides of the equation. Case 3: 2 in 1! 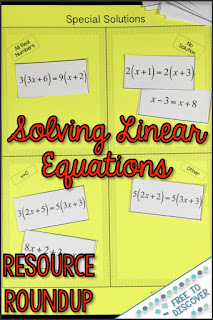 I included some cases that required students to combine like terms then add or subtract to move terms. 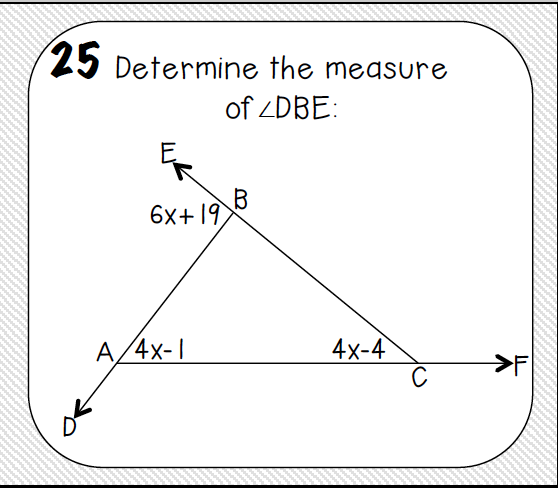 For example, students were given an exterior angle and the two remote interior angles. What a challenge! We talked about when we would see each case. 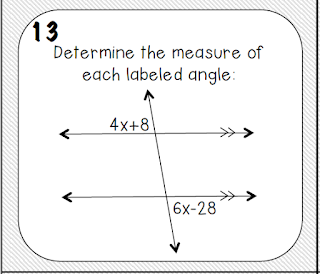 Supplementary angles get added to equal 180. 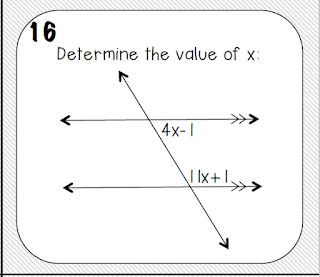 Since the x values will be on the same side, to solve combine like terms. 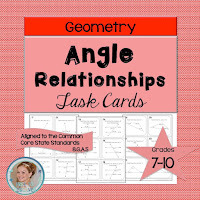 Congruent angles are set equal to one another. 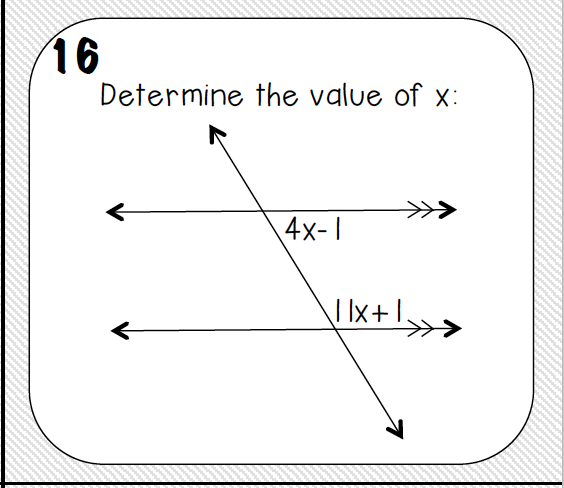 Since the x values are on opposite sides, to solve add or subtract the terms to move them to the other side. “Slide the terms together” when they are on the same side. 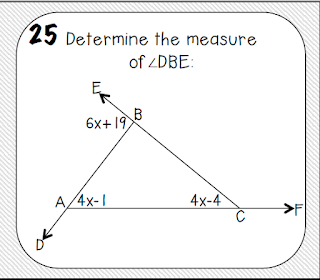 When terms are on the opposite side of the equals sign, use the opposite operation to move one to the other.